In August of 1995, Apple launched a computer that would change the fate of the world: the PowerBook 5300. 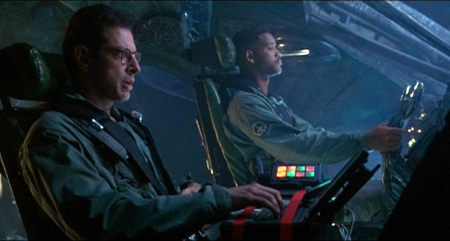 This 5.9lb fusion of black polycarbonate and capacitors had a modest debut, but little did anyone know that less than a year later, on July 4th 1996, it would save the world. It was on that fateful day that, David Levinson -- a cable company employee and MIT alumni -- took to the skies in a refurbished alien spacecraft, leaving behind an Earth ravaged by ongoing attacks. Once docked with the massive alien mothership, Levinson pulled out his trusty PowerBook 5300, equipped with a staggeringly powerful 100 MHz processor and a ridiculous 64 MB of RAM, and (somehow) began to interface with the ship. Nobody is really sure how he did it, as presumably the aliens' computer infrastructure was far different from the Mac OS 7.5.2 operating system of his lowly PowerBook, but at the time we didn't ask questions. We simply waited as the chunky laptop uploaded some sort of nondescript computer virus to the mothership. The totally realistic and absolutely not fake virus took down the shields of the powerful City Destroyer ships hovering around Earth, and also for some reason started a countdown which ended with a funny little laughing skull and an exploding nuclear missile. 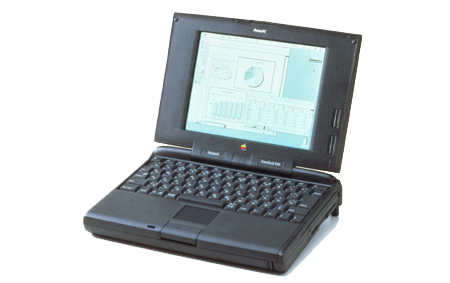 Despite this amazing success and the PowerBook 5300 being heralded as the savior of the entire human race, Apple discontinued the computer less than a month later, on August 3rd, 1996 -- because, I mean, just look at the thing.